It’s been nearly a year since our Mark McNabb provided a first look at the redesign of the GMC Acadia. Now, we have driven it. 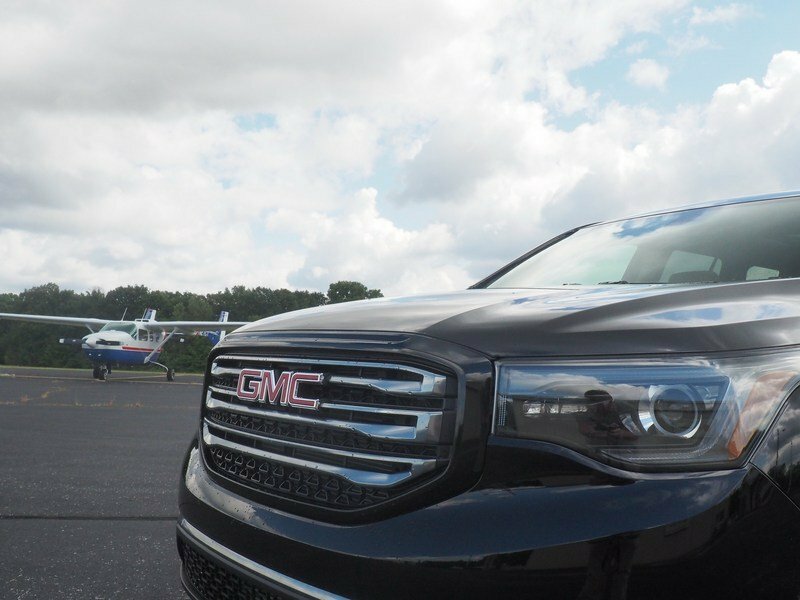 Did GMC make good on its promises of better driving dynamics, technology, and efficiency? In a word, yes. 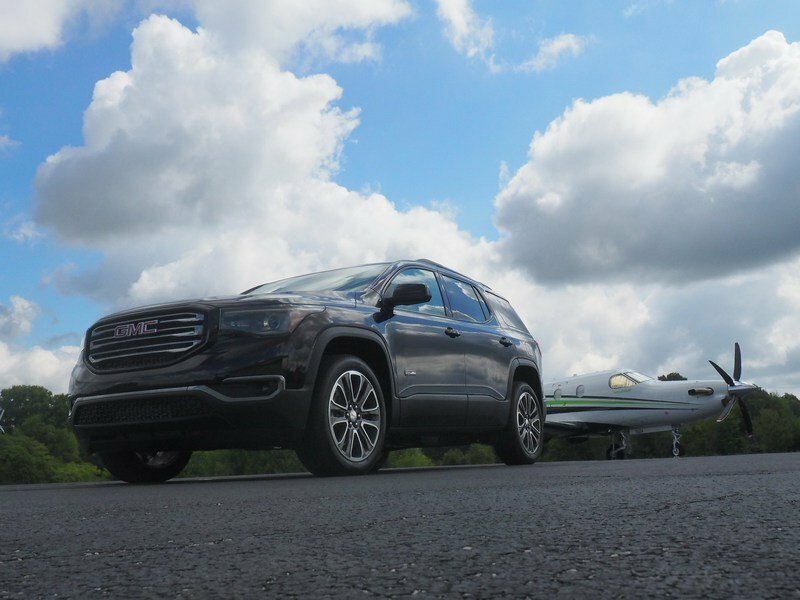 Compared to the first-generation GMC Acadia, the redesigned 2017 model is slightly smaller, a lot lighter, and positively packed with the latest technology. GMC said the newly slimmed-down Acadia positioned the model better between the not-quite-compact, not-quite-midsize Terrain crossover and the gargantuan truck-based Yukon SUV. 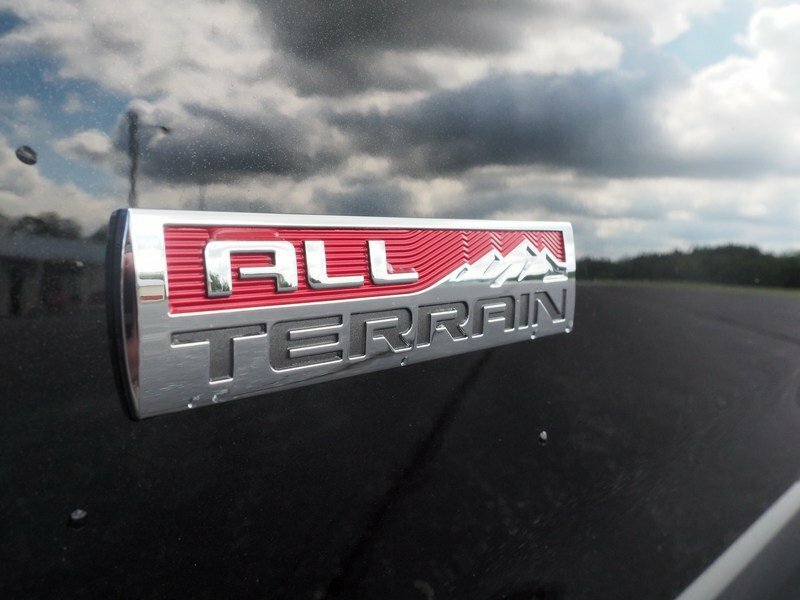 That strategy is coming into full view that GMC has announced the Terrain will likely take on a similar diet to become smaller and lighter. Continue reading for the full review. The 2017 GMC Acadia All-Terrain arguably is the best iteration of the redesigned Acadia. Featuring a three-bar horizontal grille design exclusive to the All-Terrain model, this version of the Acadia also features a somewhat more monochromatic look than its SLE, SLT, and Denali sisters. It comes with black chrome accents. The tested vehicle was black and featured matte black trim along its lower edges, with the trim flowing along fender openings and under bumpers. In comparing the 2017 GMC Acadia to its predecessor, it’s clear GMC put emphasis on making it appear more masculine and trim. Where the old Acadia looked tall and somewhat bulbous, the 2017 version looks lower-slung and more ready for twisty roads. In comparing the 2017 GMC Acadia to its predecessor, it’s clear GMC put emphasis on making it appear more masculine and trim. Partial credit for this wider appearance goes to the wide, wraparound design of the head- and taillights. In truth, the 2017 Acadia is 3.5 inches narrower than the 2016 model. GMC says the 2017 Acadia is about seven inches shorter in length, and its total height is nearly five inches shorter. But most importantly, GMC says the new Acadia lost more than 700 lbs for 2017. In concert, it looks a lot more chiseled and ready for action. 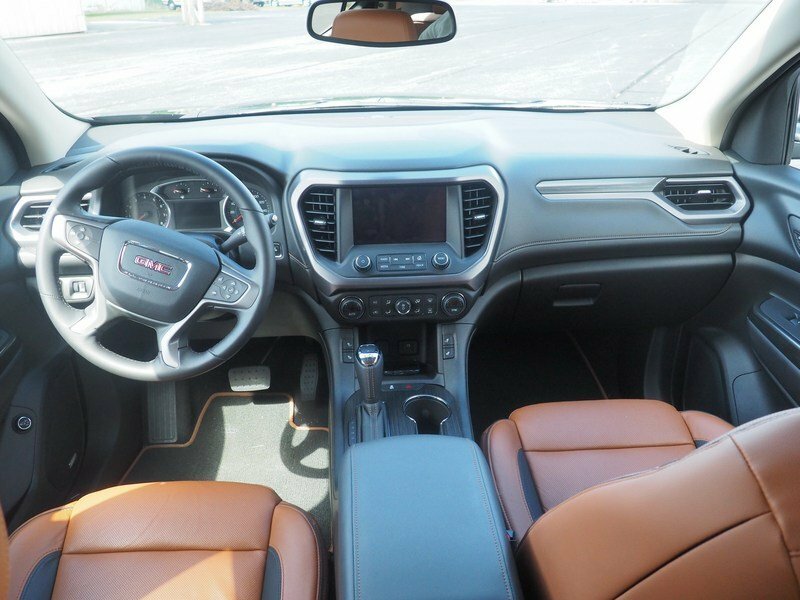 While the smaller, lighter chassis might get the most attention from the press, the 2017 GMC Acadia’s interior is where shoppers will fall in love. 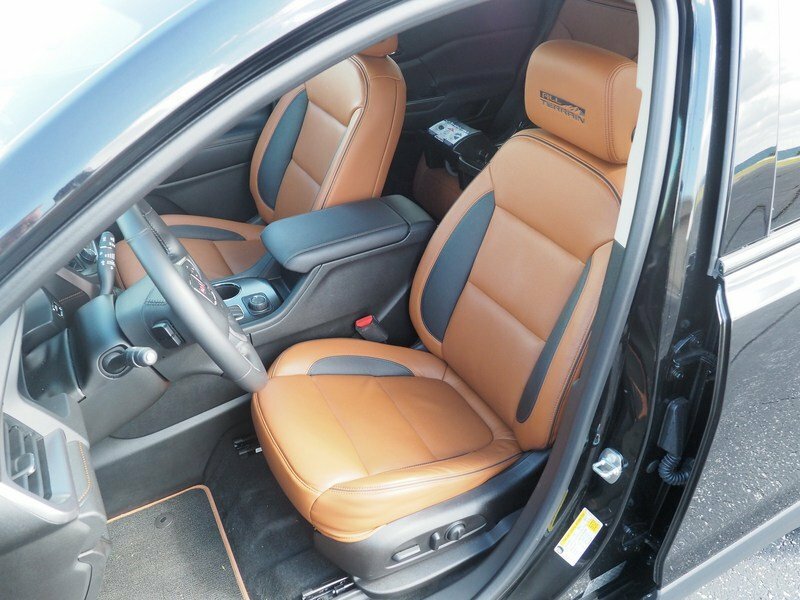 The test vehicle was trimmed in leather and wood, with the seats wrapped in a particularly nice brown leather that reminds one of a well-loved baseball glove. 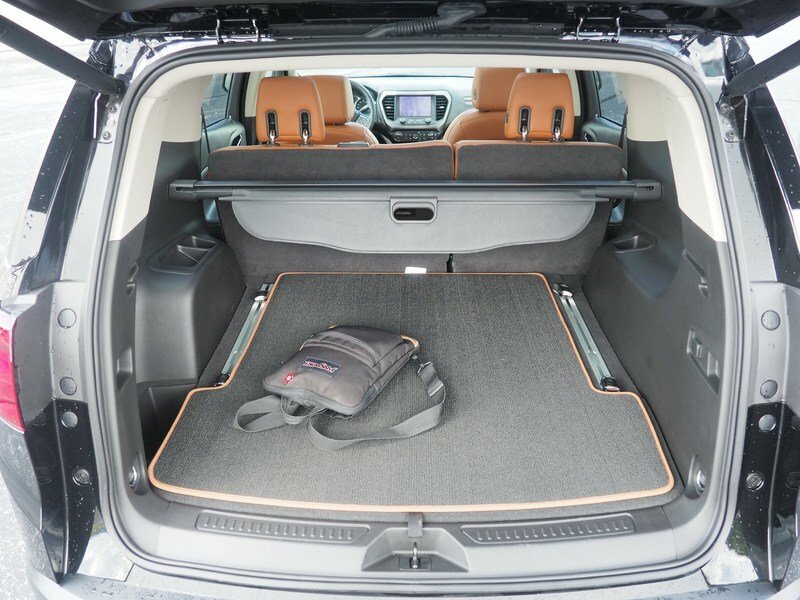 The layout of the 2017 Acadia’s interior seemed better prioritized than its predecessor. 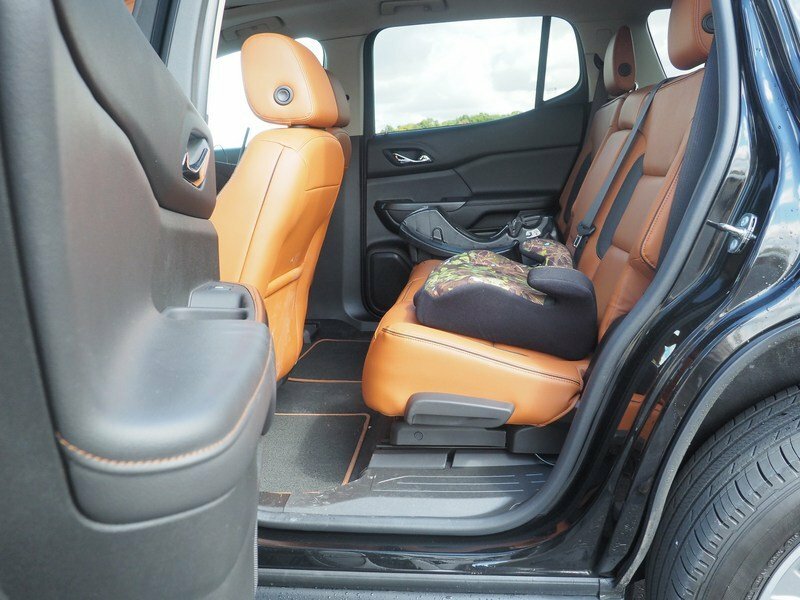 In All-Terrain trim, the optional third-row seat is not offered, so there was plenty of cargo space (GMC says 41.7 cubic feet behind the second row). Second-row legroom did improve by a noticeable three inches compared to the 2016 model, while front-row legroom remained at 41 inches. Much like the exterior, there are wide, wraparound elements that make the interior feel wider even though it is ever-so-slightly narrower -- a nice visual trick. Admittedly, third-row legroom for those who buy a non All-Terrain model did shrink just a bit, from 33.2 inches to 31.1. Truth be told, the third row probably isn’t getting used every day by the average Acadia buyer — and if it is, it’s getting used by the shortest member(s) of the family. Seems like a good compromise in the name of making more second-row legroom, where it will be valued most. Our tester’s second-row bench was plenty wide for three adults. Or, as we experienced, it was plenty for a toddler in a rear-facing child seat, a long-legged five-year-old in a booster seat, and the mother of both children. Both the rear bench and the front buckets were well-designed in another sense, too: They proved comfortable companions on the road. The interior design of the 2017 Acadia was a big improvement over its predecessor. Much like the exterior, there are wide, wraparound elements that make the interior feel wider even though it is ever-so-slightly narrower — a nice visual trick. Most importantly, however, it’s more attractive and seems likely to age more gracefully than the previous Acadia’s design. The big news for the 2017 GMC Acadia’s engine room came in the form of a new 2.5-liter four-cylinder engine — the first time a four has been offered in the Acadia. That engine makes 193 horsepower and 188 lb-ft of torque and achieves an EPA fuel economy rating of 26 MPG highway in front-wheel drive guise or 25 MPG highway if equipped with all-wheel drive. That’s impressive compared to the 2016 Acadia’s best effort of 22 MPG. A hat-tip here goes to the Hydramatic 6T50 six-speed automatic gearbox that provides smooth shifts and a wide range. Its first couple of gears were short, to better motivate Acadia around town, while a relaxed top gear provided low-RPM highway cruising. The big news for the 2017 GMC Acadia’s engine room came in the form of a new 2.5-liter four-cylinder engine -- the first time a four has been offered in the Acadia. Our Acadia tester had a newly massaged version of General Motors’ 3.6-liter V6. Its horsepower is up from the previous version of this engine that powered the 2016 Acadia, 310 vs. 281. Torque is up, too, from 266 ft-lbs to 271. That’s a lot more power than the new four-cylinder option, but the fuel economy penalty is minor: The EPA rates the 2017 Acadia All-Terrain at 25 MPG highway. Why did they offer that four-cylinder, again? Oh, right — it allows GMC to sell an Acadia below the magic $30,000 mark, where the four-cylinder-only SL trim starts at $29,995. If you want the V6, you have to bump up to at least the SLE-2 trim, which tacks on some options and a price increase of about $4,500. Is that increase in price worth it? It’s hard to say for sure, since we haven’t driven the four-cylinder Acadia. But the numbers make a compelling case for the V6. 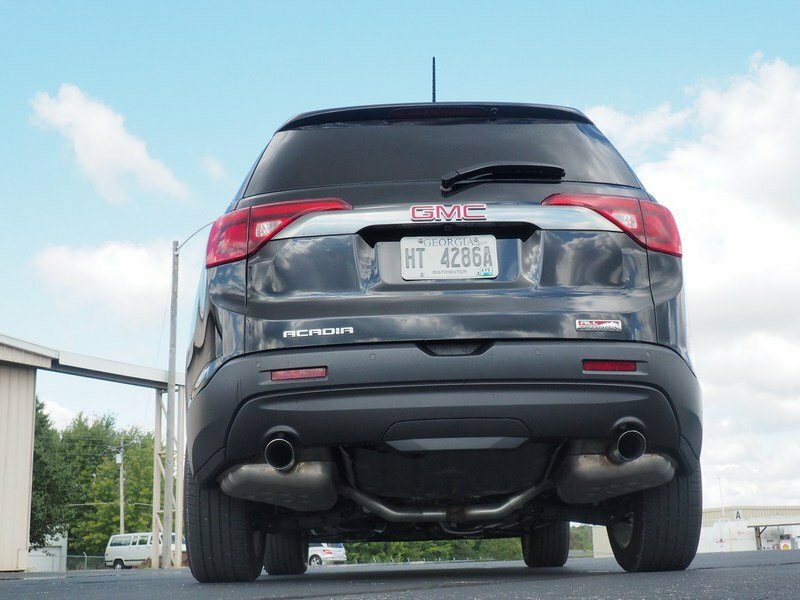 In addition to its decent fuel economy that is on-par with the four-cylinder, the V6 Acadia’s towing prowess is much better, according to GMC: The four-cylinder is rated at an estimated 1,000 lbs towing capacity, while the V6 is able to tow an estimated 4,000 lbs. If you’re going to tow your Waverunner a few times a year, definitely get the V6. The 2017 GMC Acadia offers class-competitive technology, with GMC’s IntelliLink infotainment setup taking center stage. The eight-inch touchscreen in the middle of the dash is easy to navigate, with dedicated tactile buttons for primary areas of Radio, Media, and the Home menu. From Home, users can access other features including navigation and Android Auto. Tactile buttons also allowed users to track forward and back, adjust speaker tone settings, and access a settings menu for whichever function is displayed on the screen. The controls feature two rotary dials: The left is for volume (press for power on/off), and the right is for scrolling through items on the screen (press to select). IntelliLink remains one of the better offerings in the mainstream market. Voice commands worked well after pairing an Android-powered smartphone — and the pairing process was as easy as any we’ve experienced. 4G LTE on-board wifi provided a more reliable, faster internet connection while on the road. That feature requires a monthly fee after an initial trial period, but for those who do a lot of business on the road or who like streaming podcasts or other content during their travels, it might be worth the price. Other tech features present on our 2017 GMC Acadia tester included keyless open and start with remote start capability, GMC’s Teen Driver program that allows parents to set parameters for their teens such as maximum speed and radio volume before allowing them to borrow the car, Android Auto and Apple CarPlay capability, Sirius XM satellite radio, and the Driver Alert Package featuring rear park assist, rear cross traffic alert, and lane change/side blind spot alert systems. 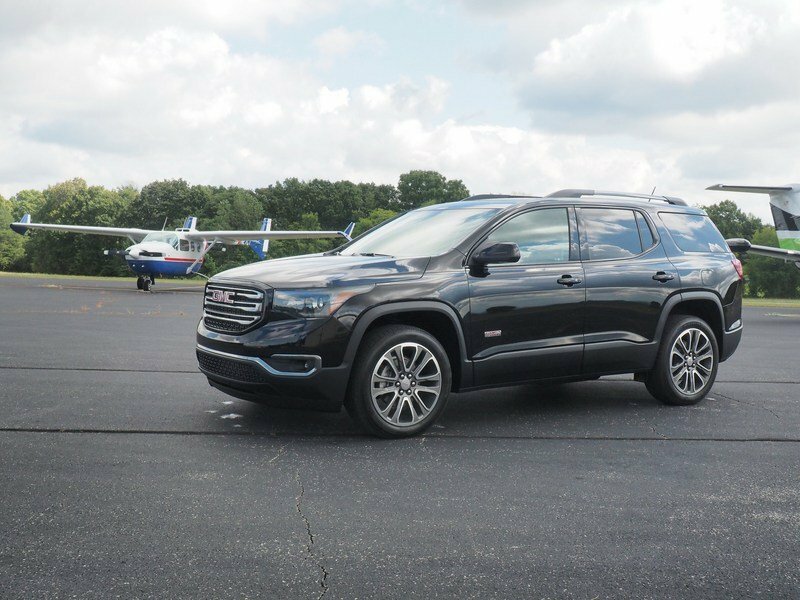 The 2017 GMC Acadia All-Terrain we tested carried a base MSRP of $41,450 and was an SLT-1 all-wheel drive model. 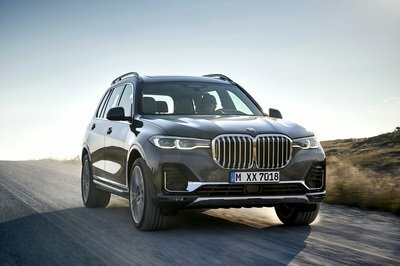 In included standard equipment such as heated power exterior mirrors, deep tinted glass, projector beam headlamps with LED daytime running lights, a Bose premium eight-speaker sound system, and leather seats with power adjustment for driver and front passenger. Total options came to $5,090. After a $925 destination charge, our 2017 GMC Acadia All-Terrain stickered at $47,465. The GMC Acadia may be downsized, but that just means it competes more directly in the larger end of the pool of midsize crossover utilities. 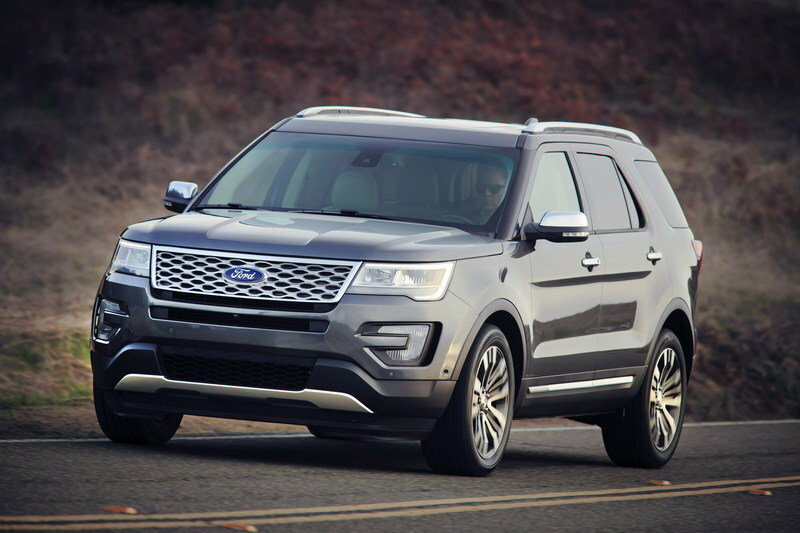 One of the strongest competitors in this segment is the Ford Explorer. It has slightly more cargo space than the Acadia when all three rows are in use. The Explorer has the edge on the Acadia in terms of powertrains, with two V6 offerings and one four-cylinder. Unlike GMC, Ford loves turbocharging, with the four-cylinder and the top V6 both featuring forced induction. All three engine options in the Explorer will hang with the V6 Acadia. The base, naturally aspirated Ford V6 still makes a healthy 290 horsepower and 255 lb-ft. The optional turbocharged four-cylinder makes 280 horses and 310 ft-lbs. The top Explorer engine is the EcoBoost twin-turbo V6, which makes 365 horsepower and 350 lb-ft.
MyFord Touch has undergone revisions that are supposed to make it easier to use than ever before, but the infotainment system still frustrates some. 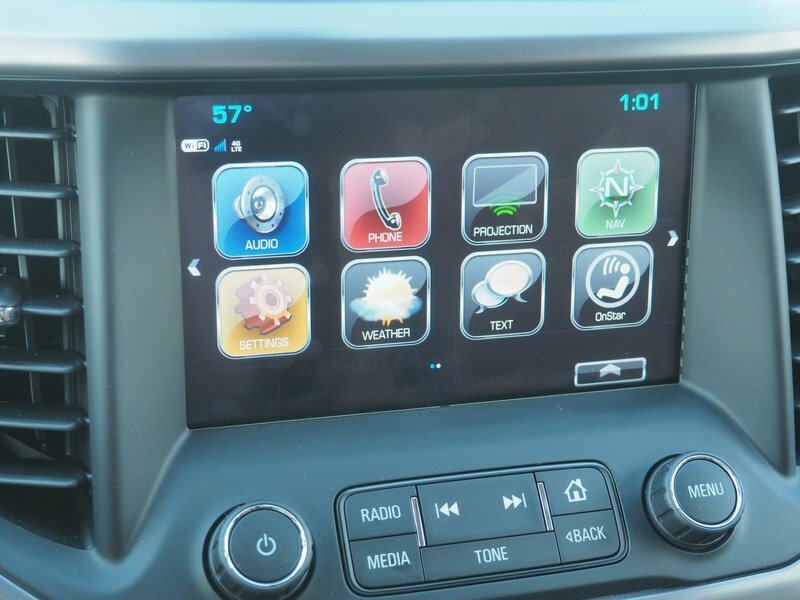 GMC’s IntelliLink likely is more intuitive for those who may not be used to modern infotainment systems. For pricing, it’s a wash. Explorer’s starting price is slightly higher than Acadia’s, but real-world prices will likely be very close when similarly equipped. While not available with three rows, the appeal of the Jeep Grand Cherokee is strong. Because who knows SUVs and ruggedness better than Jeep? The Grand Cherokee lines up well with the 2017 GMC Acadia in both size and price, but probably appeals to a different audience. Those who actually need off-road capability will favor the JGC. 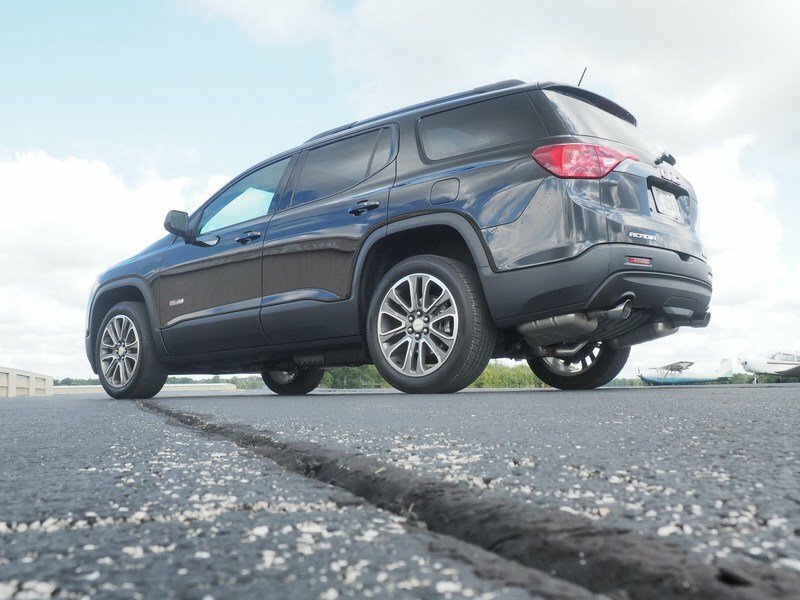 Jeep’s class-leading approach, departure, and breakover angles provide a level of off-road confidence and capability most in this segment cannot. Jeep also makes an appeal to the muscle enthusiast, with available HEMI V8 power. The ultimate hot rod is the SRT package, with a 392-cubic inch HEMI cranking out 475 horses. It has one of the best engine soundtracks in any car today. It’ll also chew up the Acadia on a timed course. Fiat-Chrysler Automobiles has a solid IntelliLink competitor in its Uconnect infotainment system, one of the easiest systems to use. 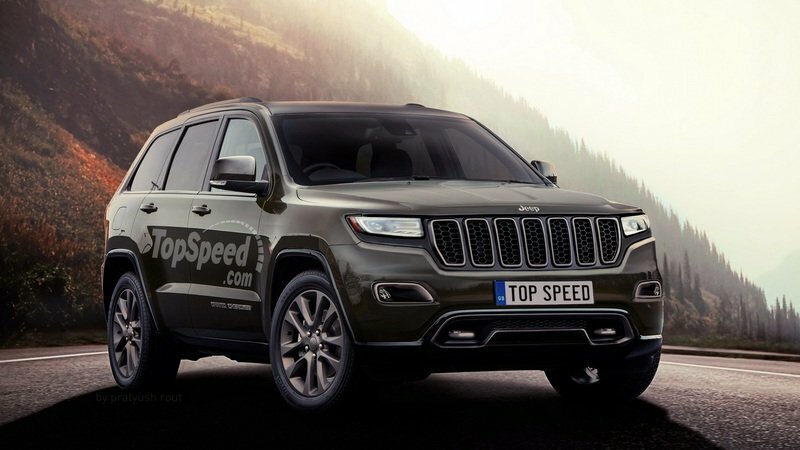 Plus, Jeep’s available Harman Kardon sound system probably is the best in this segment, with ample power to drown out even the lovely noises from that SRT HEMI. Where the Grand Cherokee suffers in comparison to the 2017 Acadia is in its interior roominess. Despite no third row, it offers less legroom for second-row passengers than Acadia. Also, its narrower stance means less shoulder and hip room for passengers. A final note: Unless you’re opting for the pricey EcoDiesel engine, don’t expect Grand Cherokee to be thriftier at the pump than Acadia. Both its standard 3.6-liter V6 gasser and its HEMI V8 are thirstier than the Acadia’s engines. 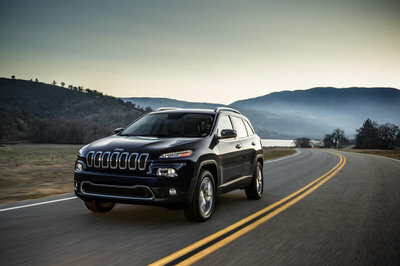 Find out more about the Jeep Grand Cherokee here. In this segment, the Nissan Pathfinder name has had a long run, but it’s not what it used to be. Off-road enthusiasts shudder when they see “Pathfinder” on the back of what may be one of the softest, least off-roadable models in the crossover market. 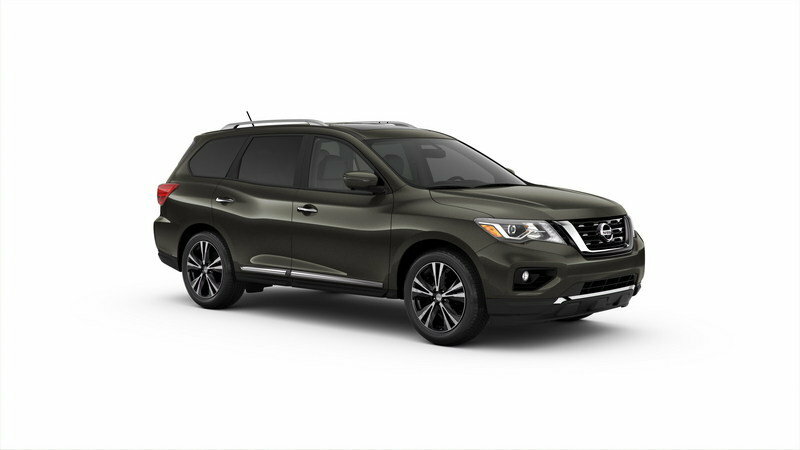 The Pathfinder may be the soccer mom’s choice if that soft ride and isolation is valued most. However, its handling is way worse than the Acadia. Pathfinder is let down by numb steering and wallowy handling, and some dislike its CVT. Also notable is the technology offered by Nissan: The Pathfinder’s infotainment suite is easily the most frustrating of these competitors. 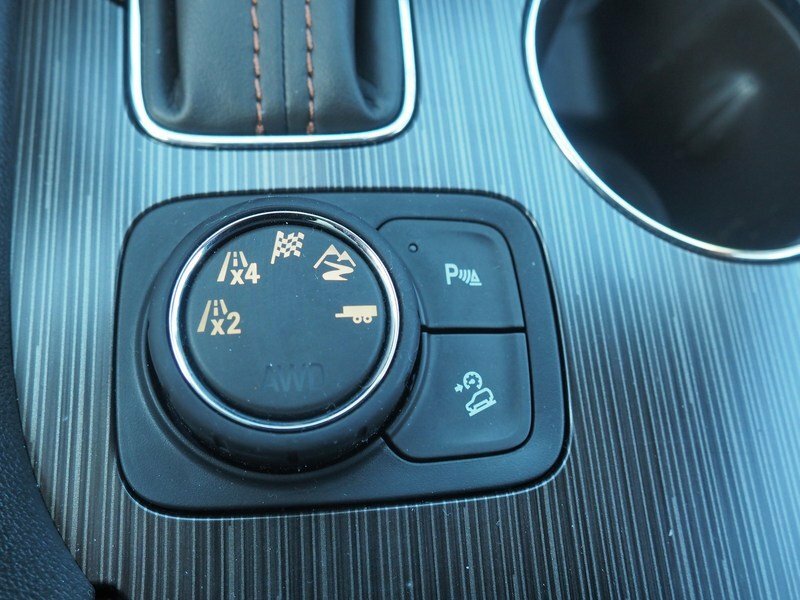 It does not offer Android Auto or Apple CarPlay, and it is sometimes confusing to use. It’s not all bad news. 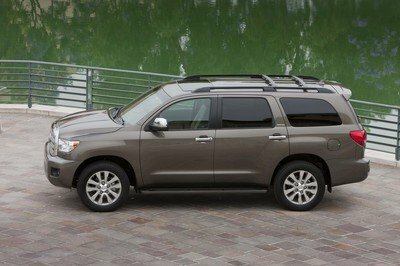 A redesign for 2017 brought a more masculine face to the Pathfinder, improving its looks. Also, the Pathy remains one of the best bargains in the segment. 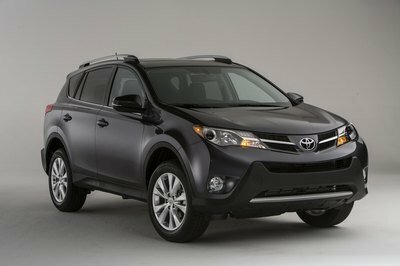 It’s plenty for those who just need a little crossover SUV ground clearance and all-wheel drive to get them up rough driveways or to take them to work in the snow a few weeks a year. Read our full review on the Nissan Pathfinder here. We liked the design of the 2017 GMC Acadia from the moment we saw it. Now that we have driven it, we like the Acadia even more. Where the first generation of the Acadia felt bloated, though luxurious, this one feels a lot more at-home in its own skin — and in its segment. Those who are shopping the midsize crossover class owe it to themselves to check out the 2017 GMC Acadia. It’s not the fastest. It’s not the most off-roadable. It’s probably not quite as soft-riding as some of its competition, especially when fitted with our tester’s 20-inch wheels. But where it might outdo each of its competitors is in its execution as a whole. 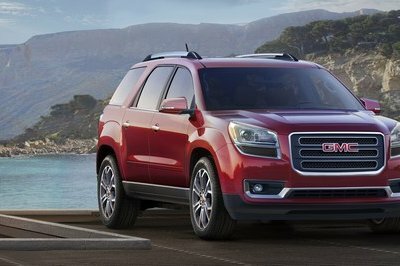 The 2017 Acadia is among the most handsome SUVs that combines family-hauling capabilities, light-duty towing credentials, respectable fuel economy and engine performance, and useful technology into a package that remains just small enough that it’s still easy to park. It doesn’t try too hard to be anything it’s not — a commendable feat in this segment. Disclosure: GMC provided the vehicle, insurance, and a tank of gas for this review.